Where you born in a barn? We didn’t think so. 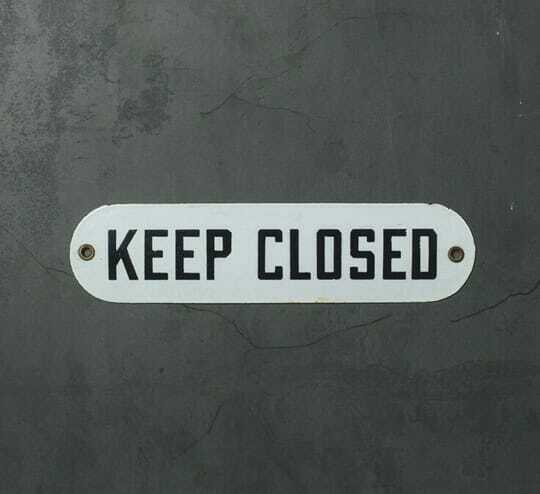 Ensure the door stays shut with this retro sign. White enamel with black lettering and rivets on each side for hanging.